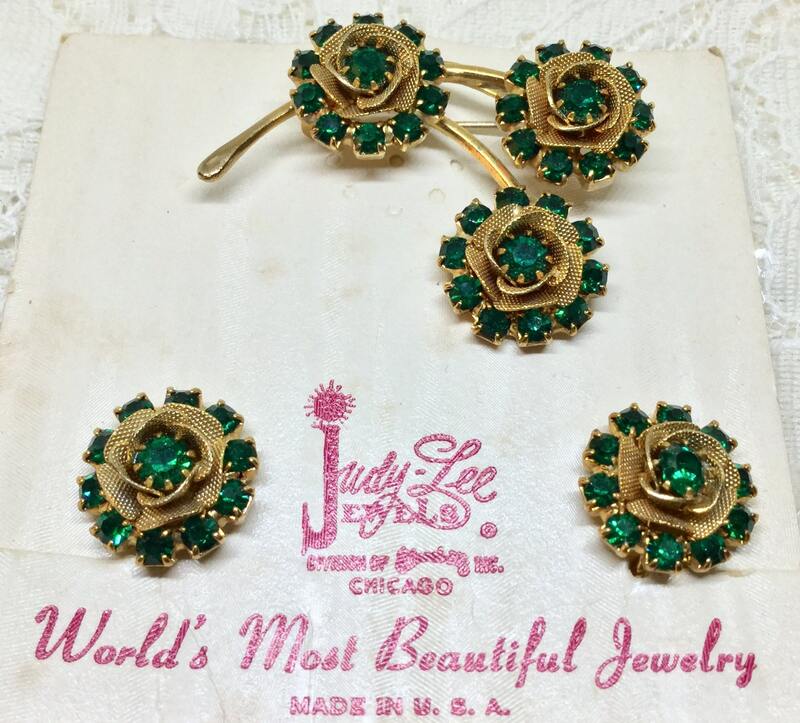 This is a vintage 1950s JUDY LEE goldtone and green rhinestone brooch and earring set. 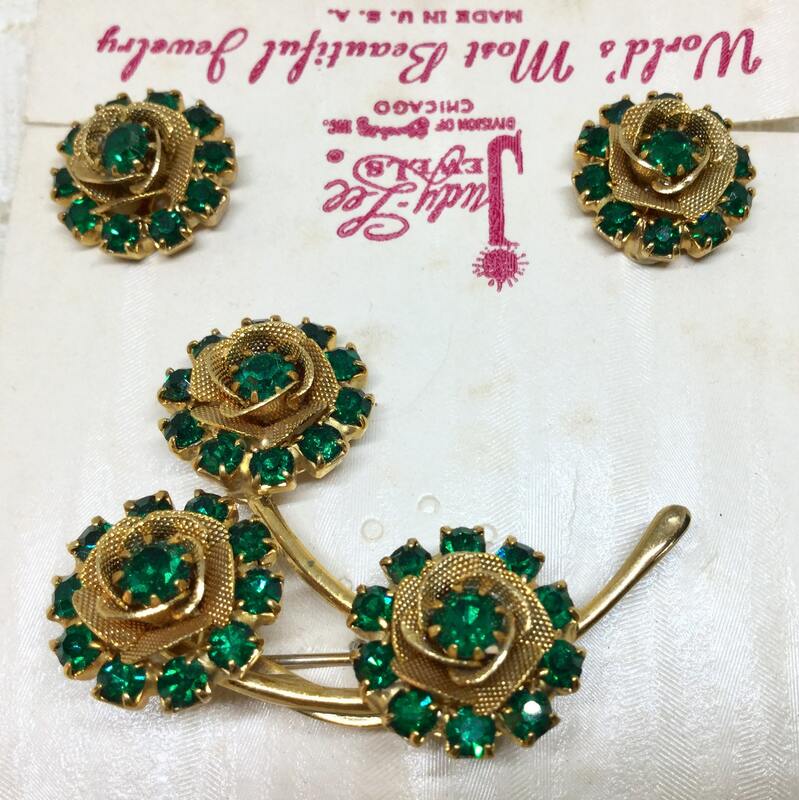 The stems are goldtone with three flowers which are textured goldtone petals with green rhinestone centers and surrounded by Ten more green rhinestones. 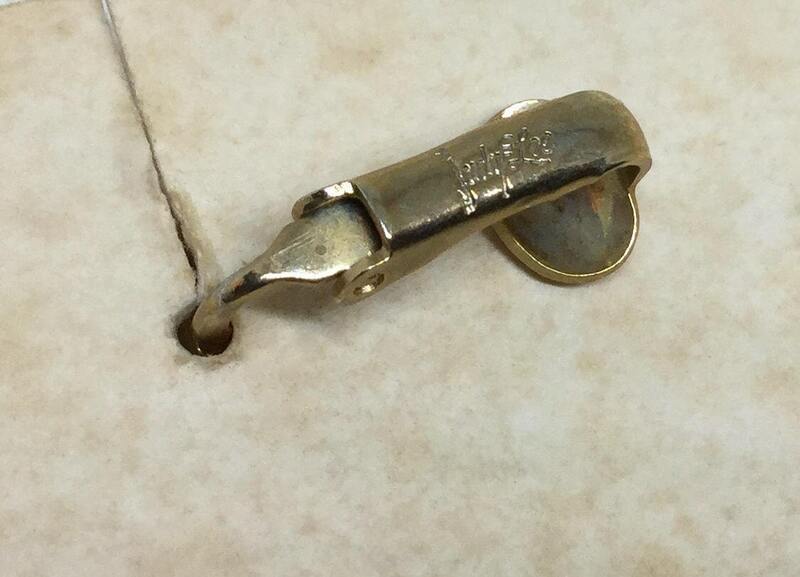 The brooch measures 1 3/4” x 1 1/4” and the pin closure is straight and works smoothly and securely. The earrings are the same components with one flower. 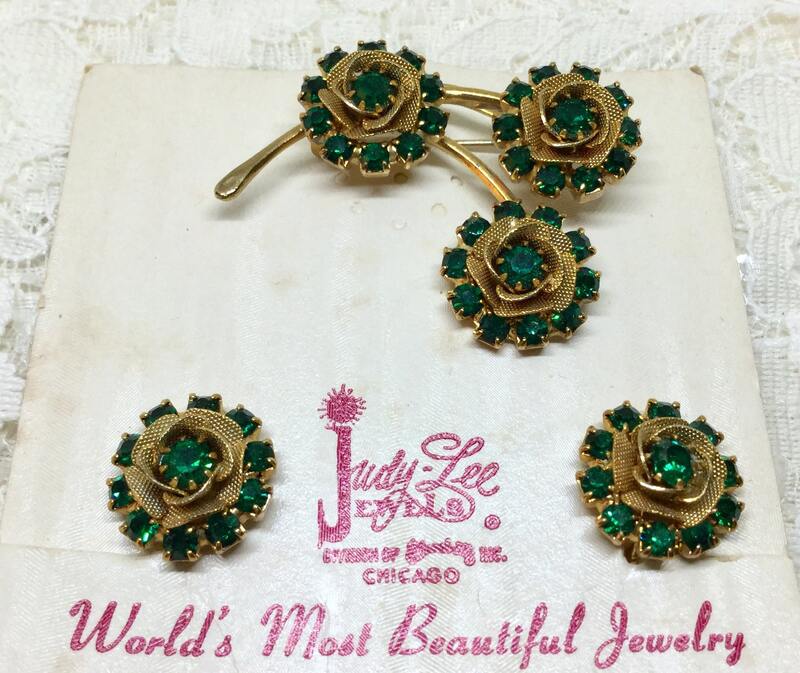 The earrings are signed Judy Lee but not the brooch. The earrings measure 1/2” in diameter. 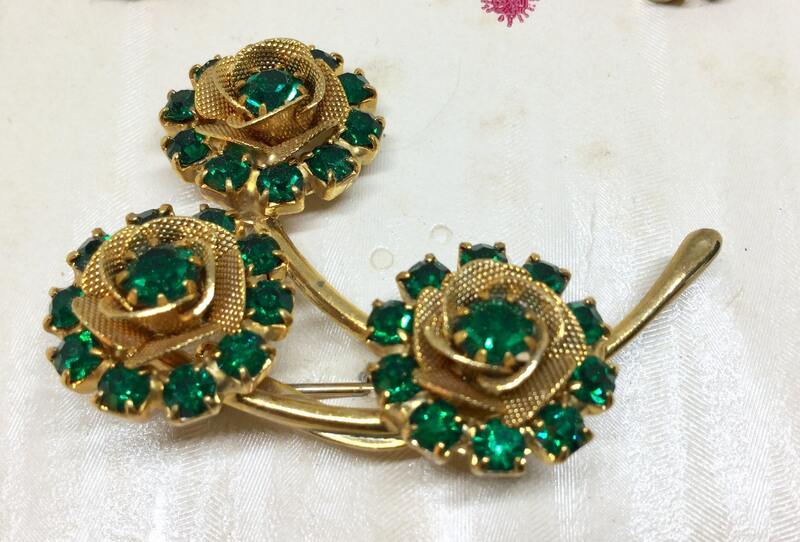 All of the rhinestones are faceted and prong set. This is a wonderful set still on the original card and in like new condition. A great gift, or a great addition to your flower or Judy Lee collection!